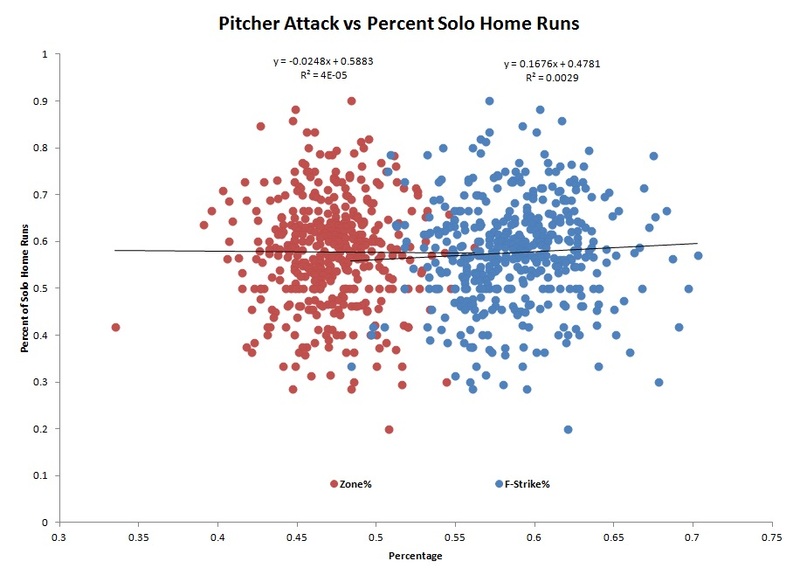 Do Pitchers Who Attack Hitters Early in the Count Give up More Solo Home Runs? I looked at all pitchers years 2009-2011 who gave up at least 10 total home runs and compared their solo HRs with HRs with runners on base. I then compared this to each pitcher’s Zone% and First Strike%. The Zone% should capture how aggressive a pitcher is overall, while the First Strike% should capture how aggressive the pitcher is early in the count. 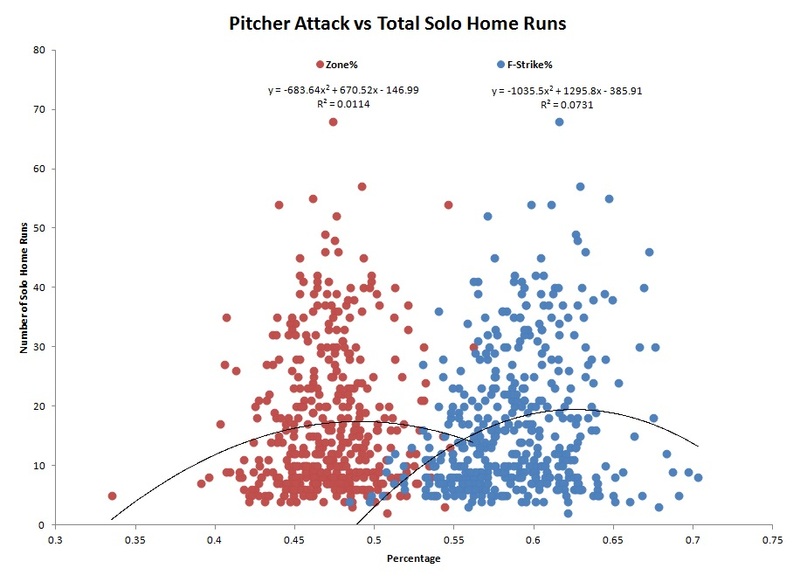 There is no correlation between either of these variables and either the percentage or total amount of solo home runs. If anything, there’s a slight relationship between a pitcher having a high first strike % and giving up fewer total solo home runs. Another commentator truism debunked.